One more reason to love project-based learning: as the weather gets warmer and the kids’ minds wander to summer, my students stay focused, working hard to complete projects that are due at the end of the semester. Of course one reason they continue to work so hard in spite of rampant spring fever is that their semester grade depends on their performance on these projects. But I know they are also working hard because they are engaged in meaningful work of which they are very proud. 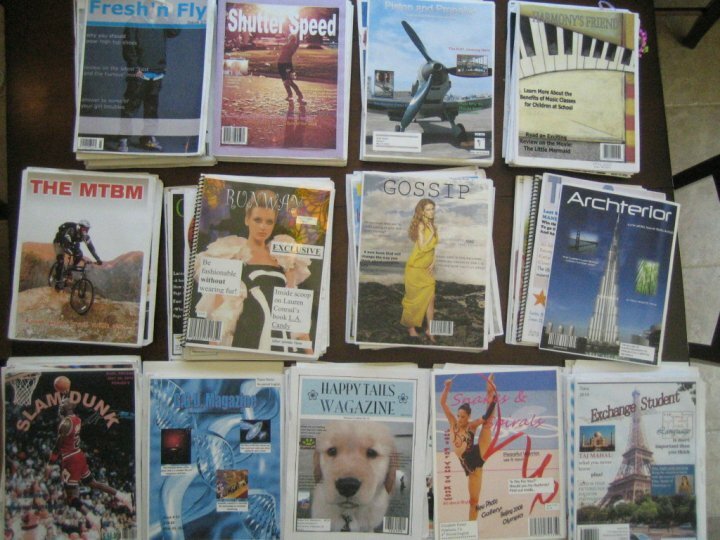 The Magazine Project: my students have been writing, editing, designing, formatting, and printing their own magazines since February. Along with learning to write academic essays, they are also building their word-processing, graphic design, and new technology skills. Each student’s magazine centers on a topic of his/her choice, which helps them stay engaged in this semester-long project. The final product is a glossy, multi-page publication that looks like a professional magazine. The students glow with pride when they turn them in, and very few fail to complete the project. 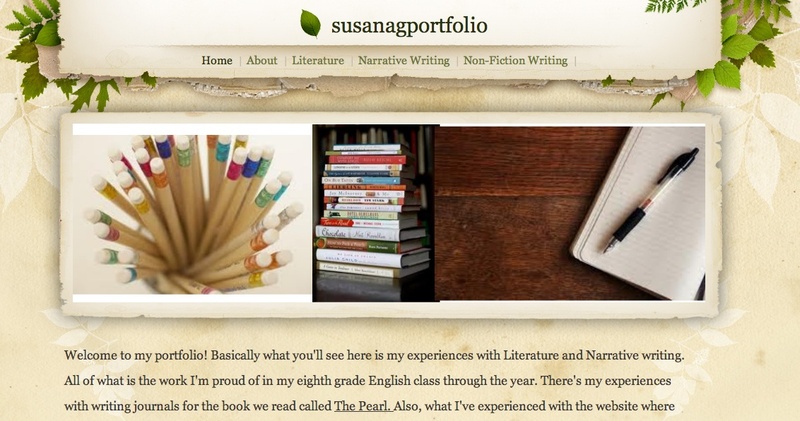 Online Portfolios: rather than assigning a paper portfolio of my students’ best work, this year I taught them to build online portfolios using Weebly. Not only does this digital project capture their interest, but it teaches them to create an academic portfolio that they can keep, add to, revise, and improve until their senior year of high school, giving them an application-ready portfolio worthy of sending to colleges. The 8th grade work they post on their portfolios this year probably won’t make the cut four years from now, but the process engages them in an activity that builds their digital media skills while giving them real-world experience they can use throughout their academic careers. 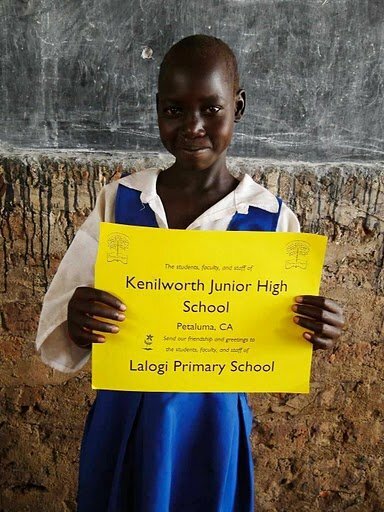 Children’s Books: we ran out of time this year, but in past years my students have ended the spring semester by writing children’s books for schools in Uganda. In addition to the writing and publishing skills gained from the project, my young teens are exposed to the poverty and lack of educational opportunities faced by children in another country. I see their eyes opened and hearts broken by these innocent victims, and the book project gives them a very real way to make a difference in their lives. Once the projects are complete, we spend our last couple class days of the school year sharing each other’s work. It’s so much fun to thumb through the magazines and children’s books, and check out portfolios on the LCD. And I’m pretty sure they enjoy that a lot more than wading through worksheets and gagging over grammar. Uh, yeah.